Born in San Juan Puerto Rico, Tony moved to the U.S eighth years ago and made Portand his home. Tony found his purpose in life at an early age while burning pans and pots in his grandmother kitchen, trying to perfectionate her Mofongo recipe. Place of origin: San Juan, Puerto Rico. Significance of name: The coquí is a small frog native to Puerto Rico, it have a very particular sound that sings from sunset till sunrise. It represent how small the island is and the big impact we make around the world. Also represent the food cart being a small space and making an impact in the food scene in Portland, OR. Likes about Portland: I came here to do what I love and take it to the next level! You can do just about whatever you want and have a strong sense of community that will support you. I like a city that keeps it weird. Interests: I enjoy going for a ride in one of many scenic routes in Oregon and trying food from all around the world. I love kayaking, hiking, playing with my dogs and spending time with my family. 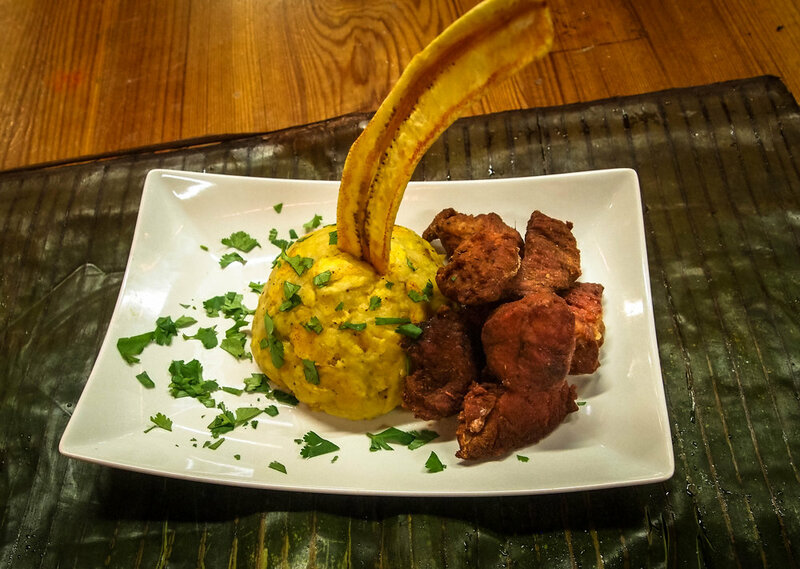 Recommended dish: Mofongo is my favorite, it's a mashed green plantain with spices and with meat or veggies. Also Bacalaitos, that is like a fried cod batter with our signature touch of lemon. Goals for business: Bring the experience of my island thru taste buds and giving a touch of that caribbean heat to portland. My dream is to open a restaurant with a full bar and live music.